At long last, Ralph has launched his own video channels, which are hosted on Youtube and Patreon. There are Lectures extracted from Ralph’s books, and shorter Talks about various sundry topics of interest. The Youtube videos are truncated, while the Patreon site hosts the full-length videos. This will eventually build into a complete audio-visual library of Ralph’s work, which aims to explain every facet of the biblical story. Surprisingly, most of biblical history is historical – although its primary topic was powerful kings rather than impotent carpenters. Which makes the revised story rather more interesting than the classical fairytale. I would be grateful if you could subscribe to the Youtube (and Patreon) channel, as the number of subscribers determines the global reach of the videos. 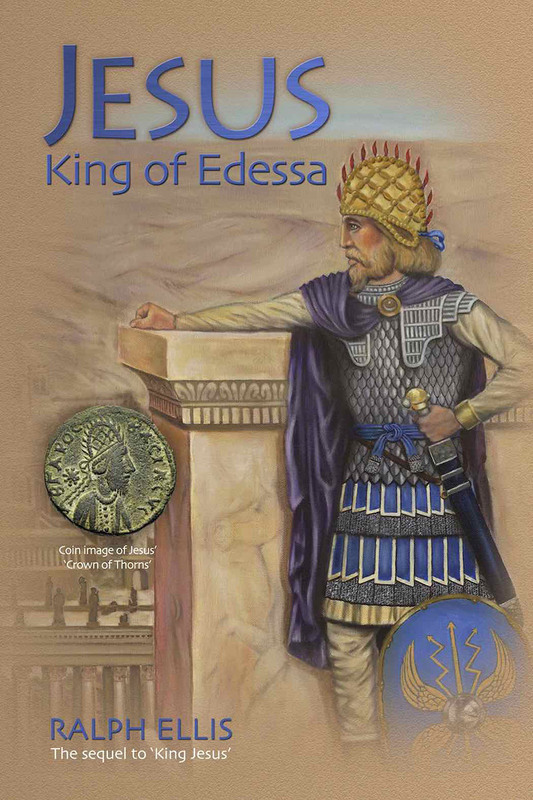 The UK launch of Jesus, King of Edessa is imminent, and it is expected that many media outlets will carry this news. To coincide with this launch a new edition has been uploaded to all tablet sites and to Amazon and Createspace paperbacks (v11.2). This new edition contains further evidence that Jesus-Izas was a king of Edessa, and displays another very early image of him dressed as a monarch and army commander. 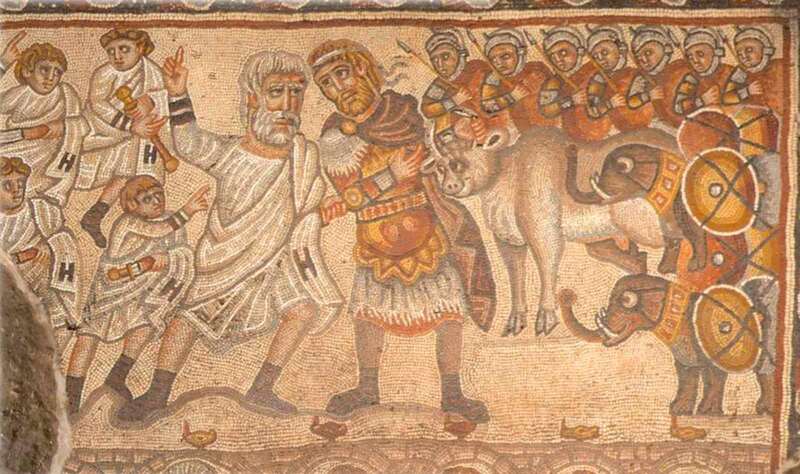 The scene is from the Talmud, where (Jesus) presents an (imperfect) calf from Emperor Nero to the Jerusalem priesthood, which was rejected and therefore sparked the Jewish Revolt against Rome. Shortly after Jesus, King of Edessa was launched, it received a vitriolic attack by an ‘academic’ called Verenna. However, it turned out that Verenna was only a student; that he had a religious agenda; and he had not even bothered to read the book he was pretending to review. And so the resulting ‘review’ was a travesty of misinformation and downright lies. But on being advised of his mistakes, Verenna refused to amend his review and banned me from his site. The following two articles detail some of the many deliberate errors made by Verenna. The Thomas Verenna Affair – part 1. The Thomas Verenna Affair – part 2. Many thanks to Russell Scott for uploading these articles to a well-visited site. Ralph has made a detour into palaeoclimatology, resulting in a peer-review science paper on the causes of ice ages. Have you ever wondered how ice ages are regulated? Well scientists also wonder, because this is still one of climatology’s great mysteries. But my new groundbreaking theory explains all the many facets of ice age modulation. The ice age climate is very stable and will stay in its cold mode for thousands of years. But an ice age has a glaring Achillies’ heel – albedo or reflectivity. An ice age depends on maintaining its high albedo, to reflect sunlight away and keep the Earth cool. But if the albedo is reduced for some reason then the world will quickly warm and the ice age will end. So the primary feedback that initiates and promotes interglacial warming periods is actually reduced albedo. In reality, each and every interglacial period is preceded by 10,000 years of dust storms, which reduce the albedo of the northern ice sheets and allows interglacial initiation. So it is dust and albedo that modulate interglacial warming, not CO2. Modulation of ice ages via precession and dust-albedo feedbacks. Do note that the Great Year mentioned so often in this article is almost the same Great Year that is mentioned so often in my books. But the Seasonal Great Year mentioned there is slightly shorter than the Astrological Great Year, due to apsidal precession. This revolutionary 600-page book will be released in paperback, with a tablet version to follow. More details can be found on the ‘Gospel of King Jesus’ and ‘Ralph Ellis’ Facebook sites. Please see the Books section for further details. The Yazadi of Iraq – the people of Izas-Jesus. It would appear that the persecuted Yazadi people of Iraq are actually called the Izad people, which is the Parthian spelling of Izas (Izates) – the princes and kings of Edessa. Incredibly, it would appear that the Yazidi are likely to be the people of King Izas of Edessa – the biblical Jesus. In terms of their religion, the Yazidi (Izadi) are obviously Sabaean (Star Worshippers), just as the biblical Jesus and the monarchs of Edessa were also Sabaean. (Check out the birth scene for Jesus). The god with seven angels is the Sun with seven planets. While the chief angel, Malak Taus (the Peacock Angel or Peacock King) is quite obviously the Phoenix. The language here is Greco-Aramaic, the same languages as used at Edessa (Malak means angel or king in Aramaic, while Taoos means peacock in Greek). Anyone who has read the latest version of ‘Jesus, King of Edessa’, will know the importance of the Phoenix to the history of Edessa. Edfu Books presents Jesus, King of Edessa, perhaps the most revolutionary religious book ever written. 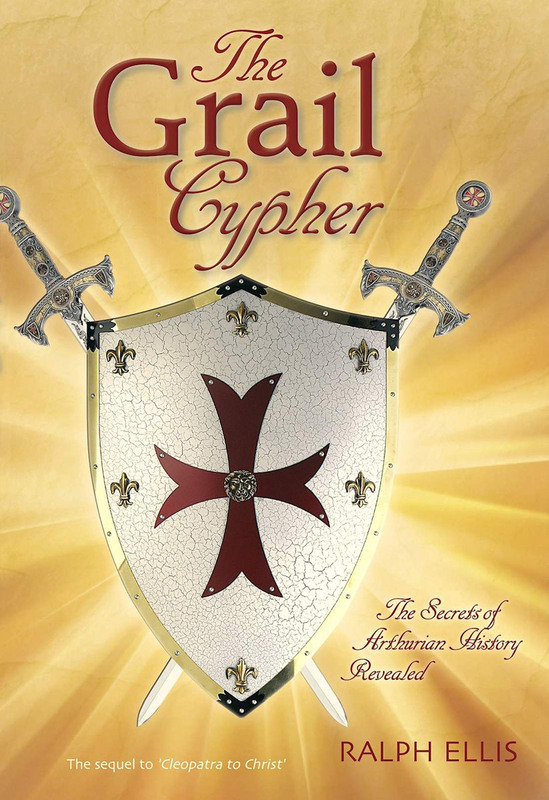 This is the book that the Catholic Church has been dreading for the last 1700 years. This is the book that will place Jesus back into the historical record. We now know who Jesus was, where he lived, and who his family were. Readers can now visit his city, see the ruins of his citadel, gaze upon his statue, and handle his coins. Jesus was indeed an influential ‘King of the Jews’, a prince with a small realm, a large treasury, and even bigger ambitions. In reality, Jesus was a son of King Abgarus of Edessa – but the wise prince of Edessa came up against an intractable Rome and his many plans crumbled to dust. And why, you have to asks yourself, have you never heard of King Abgar, nor Edessa? The answer is that the historical truth conflicted with the new biblical fairytale being crafted by Saul-Josephus, and so this quicksilver-quilled charlatan changed the name of these monarchs in order to cover up the events that comprise the biblical story. The other major result of this investigation is that we now know exactly what Jesus looked like, because we have contemporary coins and a contemporary statue of Jesus. Thus the jacket image to this radical new book shows Jesus wearing his Crown of Thorns, the ceremonial crown of the Edessan monarchy. This is the final book in The King Jesus Trilogy, so if possible readers should start with ‘Cleopatra to Christ’ and then ‘King Jesus’. The wait before arriving at the last episode in the trilogy will be worthwhile, for if a book could be valued on its ‘eureka moments’ then this final book would be priceless. The book will be launched in the press on March 8th, and will be available in tablet and paperback format.For platforms like Nook and Kindle that will not play the videos, they are reproduced here. Enya Video – Emmanuel. The key to the historical Jesus. Dr Sebasian Brock, former Reader in Syriac Studies at Oxford University’s Oriental Institute. Paperback copies will also be available from Adventures Unlimited. The video clips in this book are fully supported by Apple iBooks, but Kindle, Nook, Google, and Kobo do not yet support videos. For users who are unable to the view the video clips, they are reproduced on Youtube. Video 3, Hide the Decline. Video 4, Act on CO2.